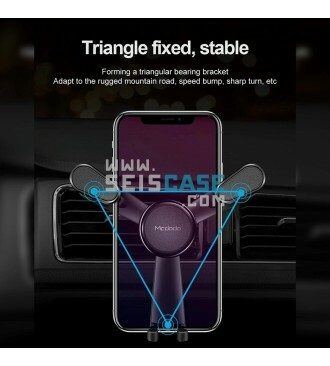 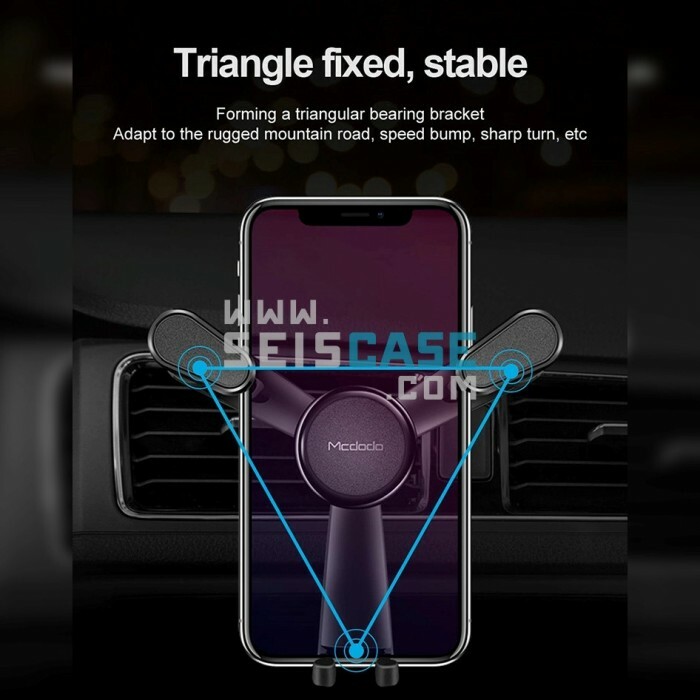 Stable and Firm : The three arms form a triangle that clings tightly to your phone and does not cause shaky braking on bumpy roads. 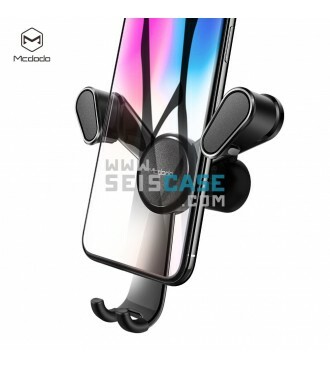 Also，the soft silicone pads on the phone arms protect your phone from scratches. 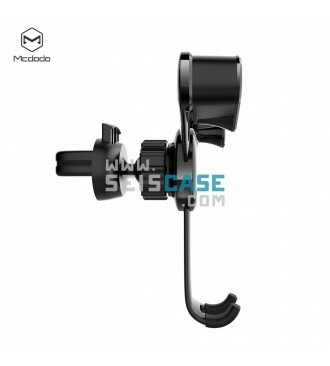 The anti-slip clip with rubber pad locks the air outlet firmly and stably. 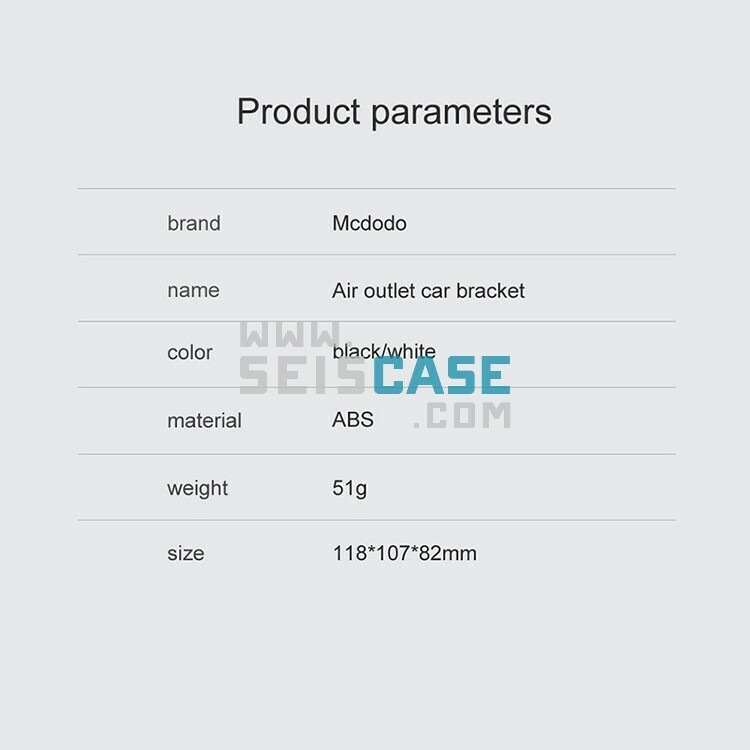 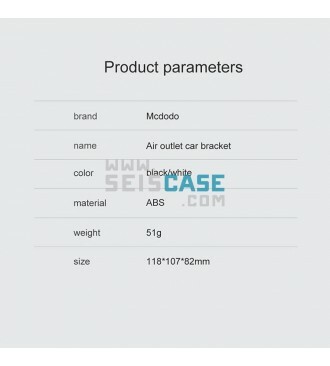 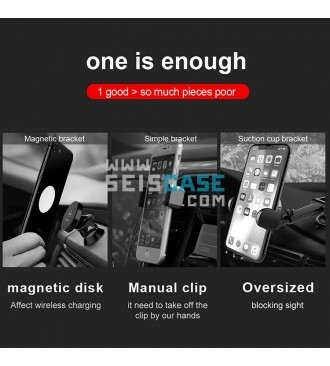 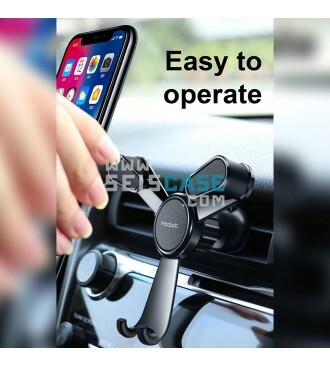 Auto-Lock and One-Hand Operation : Gravity rod construction can automatically clamp or release your phone, which only requires one hand to operate, easily insert and remove phone, it will make driving safer. 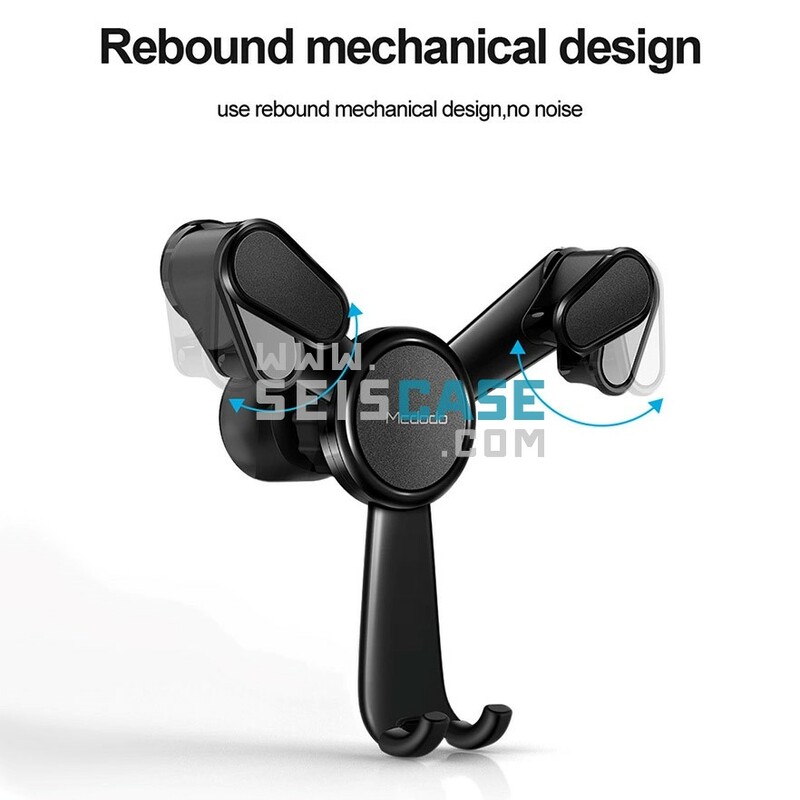 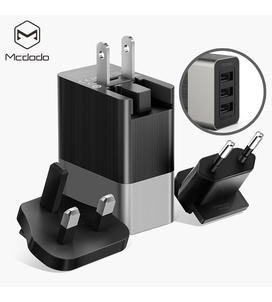 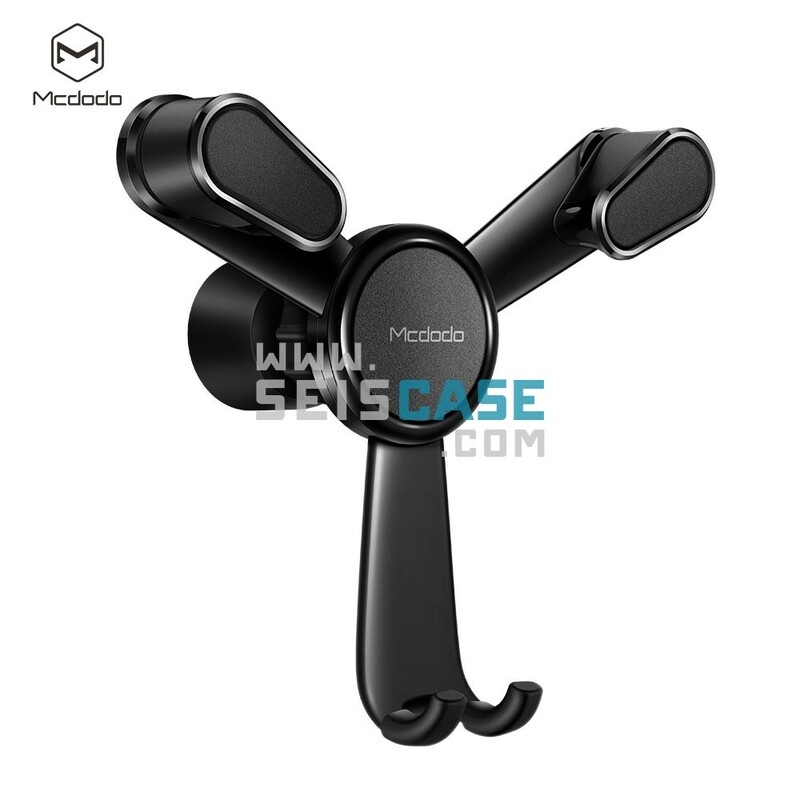 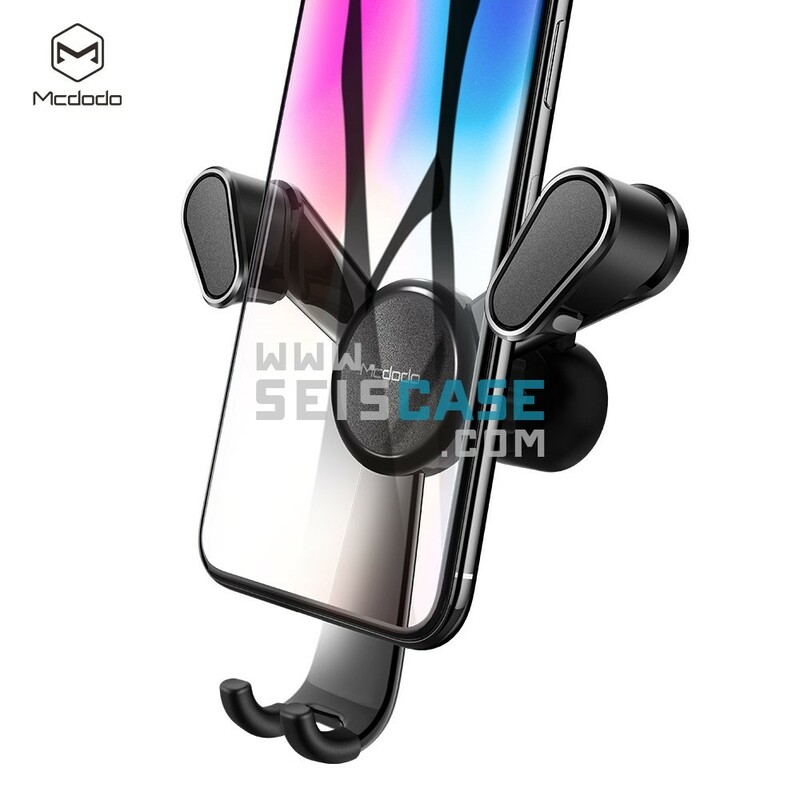 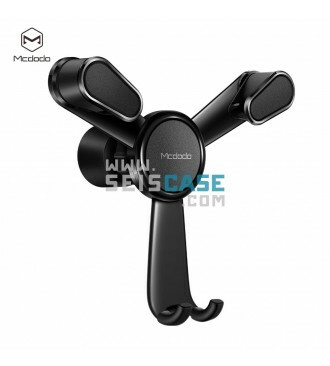 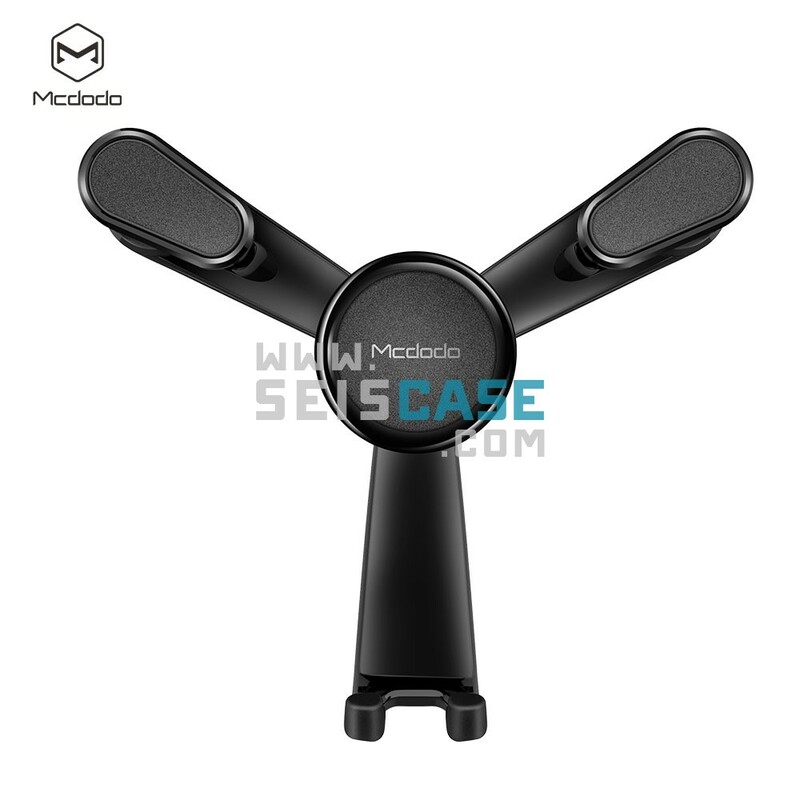 Upgraded Material& Free Angle Rotation : The aerospace aluminum alloy housing keeps this gravity phone holder sturdier and does not deform so easily. 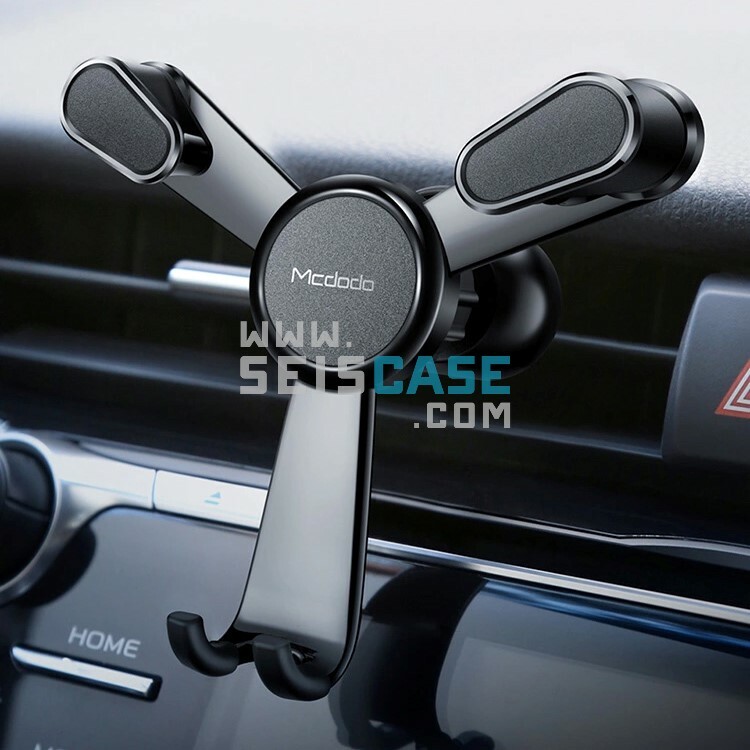 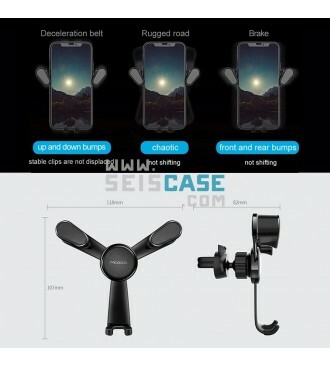 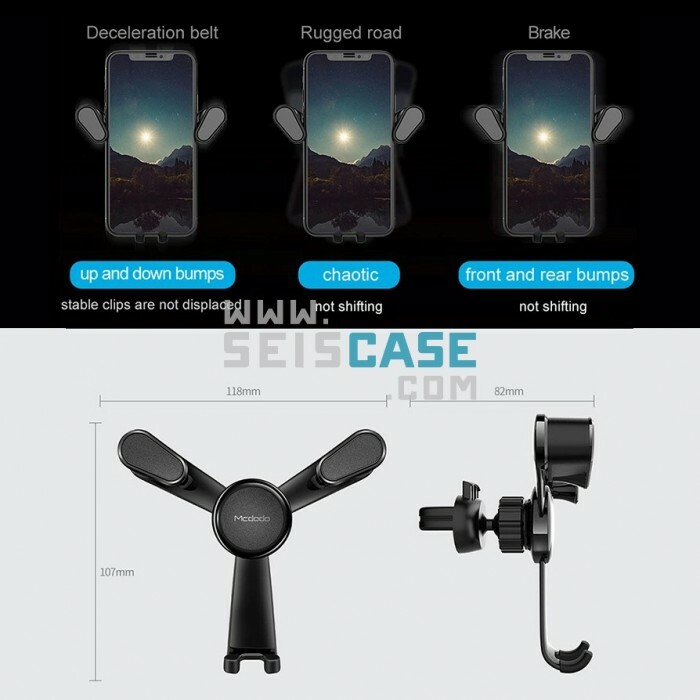 Air Vent Phone Mount with freely rotate angle provides unblocked view while you are driving. 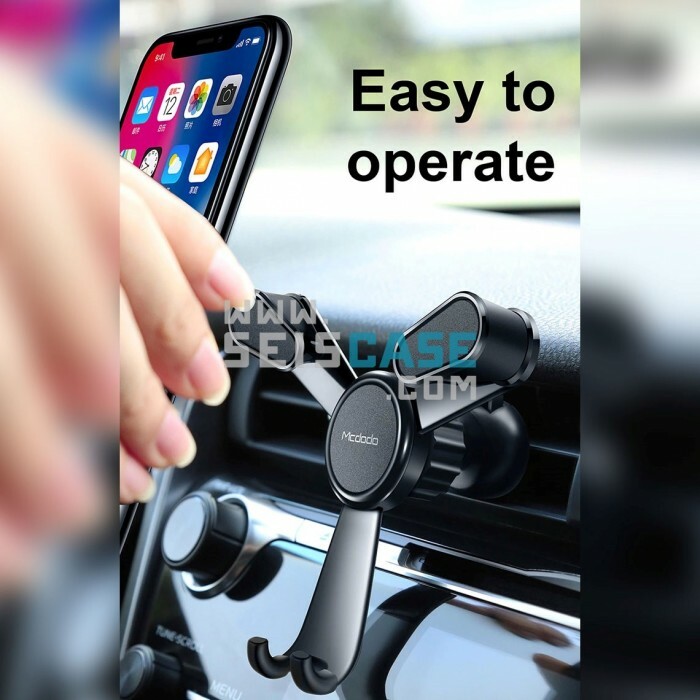 Friendly Design : Soft silicone pads in the holder arms and silicone clip protect your phone and vent from scratch primely, reserved charging port enable to plug the charging cable to the phone even when attached to this phone holder, never worry about power off on your trip when this car mount installed. 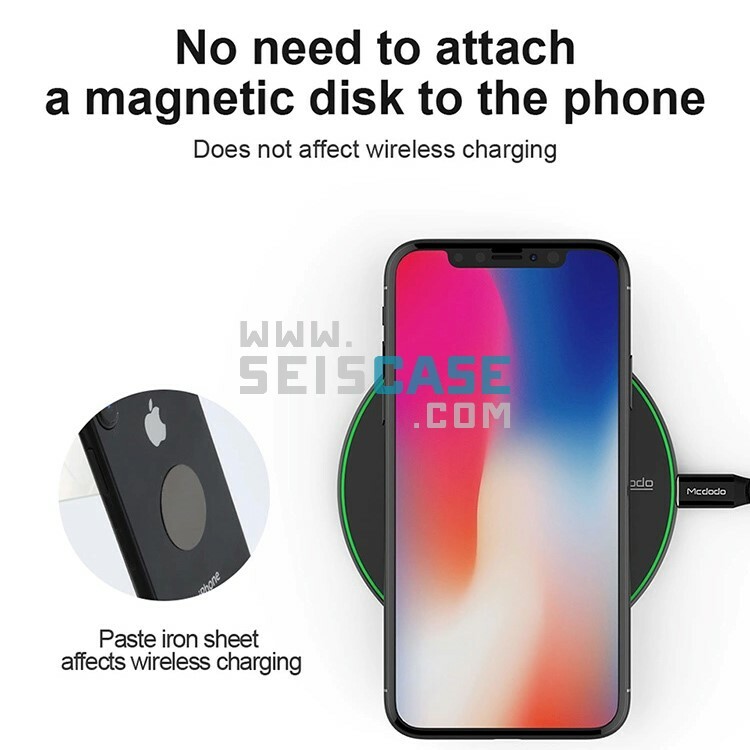 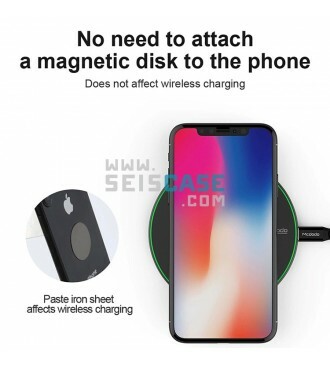 Comprehensive Compatibility&Case Friendly : Perfect for all smartphones from 4 to 6 inches like iPhone X / 8/7/ 6S / 6 / Plus / 5S, Samsung Galaxy S8/ S7 / S6 / Edge S6 / S5 / S4, Huawei Mate 10 / P10 / 9 Pro, LG G6 / G5 / V20 / G3, Google Pixel 2/2 XL.